The Muppets will air an all-new episode later tonight, and now ABC has already scheduled the season finale for the freshman series. According to Spoiler TV, the final two episodes of the first season, titled “Generally Inhospitable” and “Because…Love” will air together on February 29. ABC has not yet renewed the series. Does the series airing its finale this month mean this series is cancelled? There is no way to know for sure. 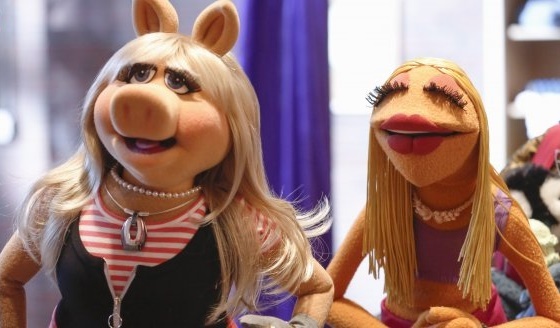 The Muppets returned to ABC on February 1 after the network expressed its disappointment with the direction of the series during the Winter TCA’s in January. The series was revamped during its winter hiatus after ABC announced that the series would have only a 16 episode first season. The series has seen a drop in its ratings since its return earlier this month. Currently, it averages a 1.4 rating in the 18-49 demo and 4.479 million viewers. Could ABC decide to keep The Muppets around and renew? Anything is possible. Disney owns The Muppets, and the return was highly promoted before the season began in the fall. Fans of this series will need to wait to find out what happens next. ABC will likely keep their decision under wraps until after the finale airs. Are you a fan of The Muppets? Do you want a second season? Tell us what you think. I grew up watching the Muppets I think that there should be a second season. Please please put the Muppets show. Back on i miss that show….put back on i just love that show…. I think the show and the mockumentary concept are brilliant. Script is hilariously witty.. PLEASE RENEW SECOND SEASON!!!! LONG LIVE THE MUPPETS!!!! I haven’t been able to catch any new episodes of the Muppets because they keep moving them around. I don’t even know what day and time they are on. The TV execs like to do this kind of bull ****. When a show is doing well in a timeslot, they chose to move them to give other shows at that same timeslot. And they wonder why the previous show’s ratings suffer?! Leave a show that is doing well in that particular timeslot and give them a chance for once!! I completely agree with Carlos! I was so excited about the Muppet Show and as a family, we really enjoyed it. But then they changed the time and next I find out they already had the finale? Where were the previews and marketing for that? So disappointed. Would have REALLY liked to see this show continue!